Work is easy in our Modern Executive Room, Offering free Wifi, Chiropedic King Bed and space to unwind and relax. 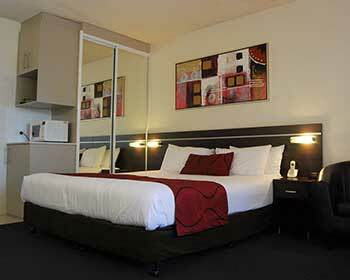 The King Executive Room is perfect to relax in a Contemporary guest room with free wifi and LCD T.V. 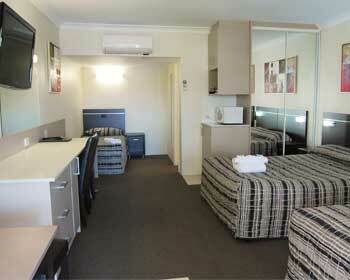 Large family rooms offer you and your family space and comfort. Your whole family can take advantage of the Free wifi. The Spa Room is just for adults. Relax, unwind, and enjoy a spa bath. Spacious Room with free wifi. 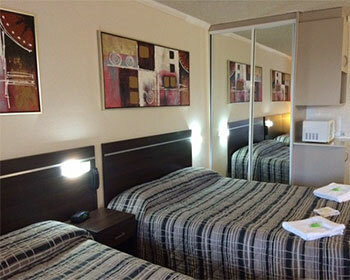 Standard Rooms are spacious and designed to sleep single travelers or up to 3 people. They offer 1 queen bed and 1 single bed. Free wifi for all. Two bedroom unit is perfect for the large family. 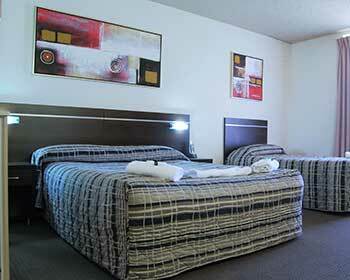 It features 1 king bed alone in first room and 1 queen with 2 single beds in the second room.Free wifi for all! 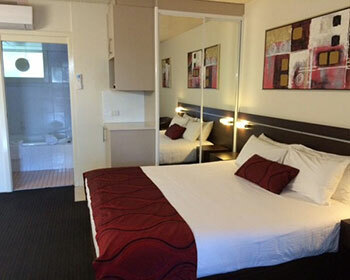 Located within easy reach of central Dubbo, Golden West Motel Inn Dubbo is the ideal choice for travellers on a budget. 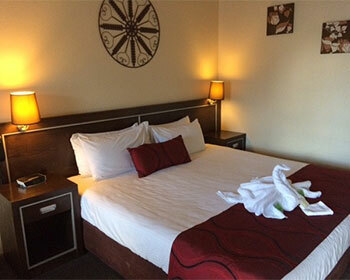 Guest rooms at this affordable Dubbo hotel feature contemporary décor, and provide everything needed for a peaceful, relaxing stay and a restful night’s sleep. Available in a range of configurations, guest rooms feature a well-appointed ensuite, comfortable bedding and a TV, and are all fully air conditioned. Available room configurations offer accommodation for up to two, three or four guests.